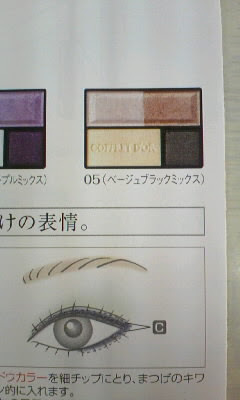 Coffret D'Or will release its summer makeup collection on 16 June in Japan. Pics below are from 2Channel. 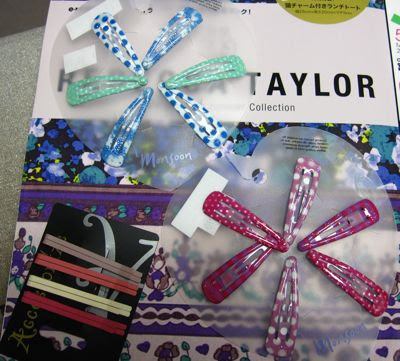 The testers are already out in some of the drugstores in Japan. Looks like another collection that I can safely skip! 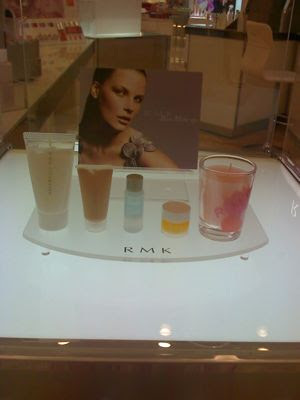 The RMK counter at Isetan Scotts is now offering this cute GWP with a candle! I didn't ask what the GWP amount is as I did not want to tempt myself into spending just for the GWP. But if you're thinking of making a RMK haul, now would be a good time. 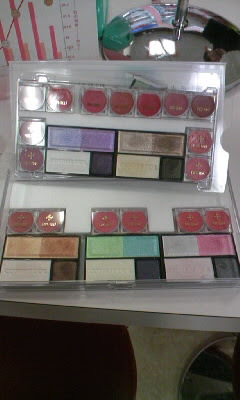 Here's another pic of the Majolica Majorca Jeweling Eyes palettes from 2Channel. Doesn't look that outstanding but at least they look wearable, not like some of the stranger garish combinations that Majolica has released in the past. Hopefully they will be more attractive in real life. I'm blogging this from Jerusalem, Israel, where I just arrived for a work trip :-) It feels somewhat surreal being here after having read so much about it in the news. 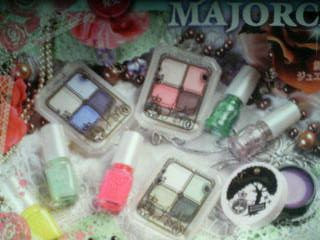 Biteki.com posted this pic of the Majolica Majorca summer collection which is due out on 21 April in Japan. 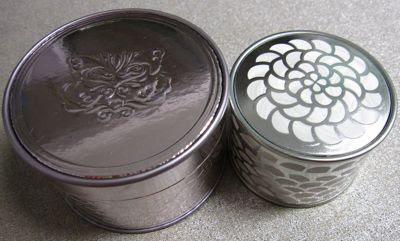 The pic shows the glitter-infused MajoErotica solid perfume, one of the eight Jeweling Eyes palettes and one of the three Artistic Nail polishes that will be in the collection. I'm hoping for some lovely blue/teal/lavender-themed palettes in the collection, aside from the standard pinks and browns! 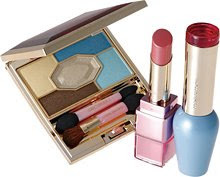 Magie Deco will release a blue-themed collection for summer on 16 April that includes 3 Fairy Eyes (cream shadows), 3 lipsticks and Shadow Brilliance #23 eyeshadow palette (5775yen). Elegance also picked fresh aqua blues for its summer collection which will be out on 18 April. 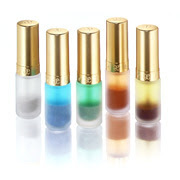 The collection includes 5 new Lustre Clash Eyes (liquid eyeshadows). 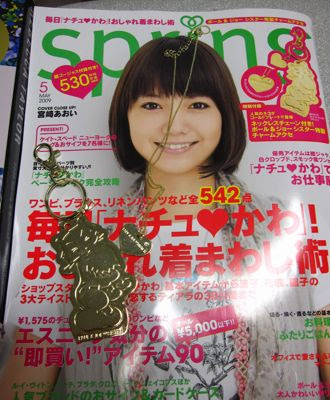 Dropped by the Kinokuniya store in Bugis Junction today and to my delight, there was one last copy of the new May issue of Spring (S$14.90) with the gold Paul & Joe Sister cat charm freebie! I didn't expect the magazine to arrive until next week as the release date was supposed to be 23 March. 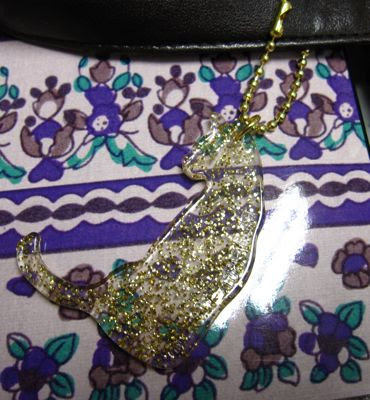 It also includes a slim gold chain that you can wear with the heart charm as a necklace. 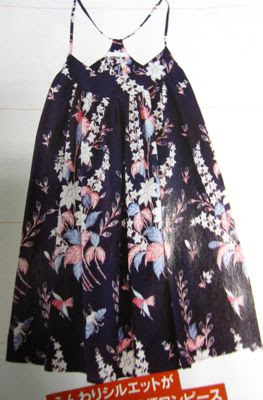 Love the print on this P&J Sister dress! 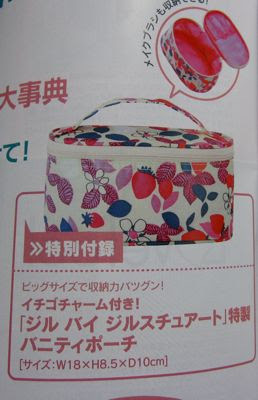 The next issue of Spring will come with a Jill by Jill Stuart vanity pouch, with a print similar to the tote that came with Swak. Something else to look forward to! I also picked up the Rebecca Taylor mook (S$31) which comes with a lunch tote with a plastic cat charm with gold glitter flecks. No sign of the Jill Stuart mook though, probably next week. 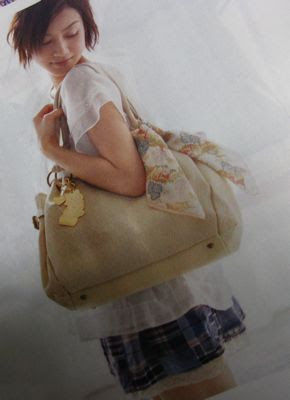 The tote is made of a soft cloth. The 64-page magazine features an interview with the designer, the new Spring/Summer '09 collection of clothes, accessories and shoes. 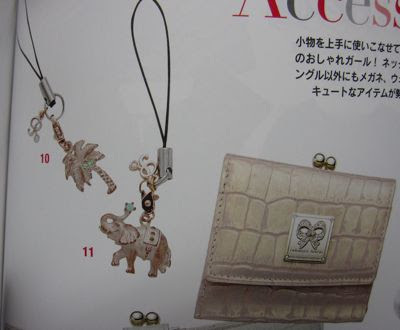 This charm bracelet (10,500yen) is just too cute! All the May issues of Voce, Maquia and Vivi are also out but I skipped these as I've bought way too many magazines this month. Maquia comes with a scrunchie and ROC retinol skincare while Vivi features Ayumi Hamasaki on the cover, with a photoshoot in Hawaii. 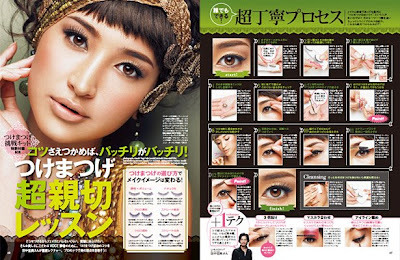 Voce comes with a false eyelash and glue kit, plus the usual detailed tutorial. I did not see Biteki though. 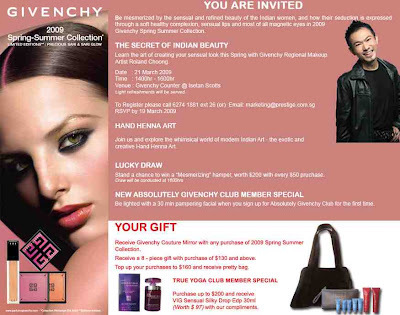 Givenchy will launch its India-themed Spring makeup collection this Saturday at Isetan Scotts. Details in the pic below! For those of you who were disappointed by the puny collection that Majolica Majorca put out for spring, you may be happy to know that Majolica Majorca is launching a big collection that will include 8 (that's right, 8!) 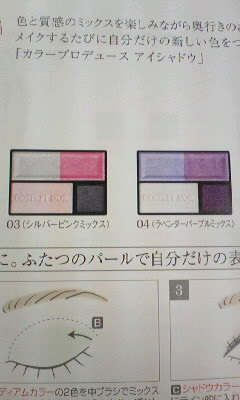 Jewelling Eyeshadow eyeshadow quads (1575yen) which are described as having a gemstone-like multi-color sparkle! These are all permanent. Due out on 21 April, the collection will also include a clutch of limited edition items including a glitter solid perfume, MajoErotica (945yen) with a fresh apple and floral fragrance, three Artistic Nails (Glow & Quick) GR140, PK441 and YE242 (399yen) and 2 Artistic Nails (Jewelling Line) in GR444 and 77 (399yen). 4. 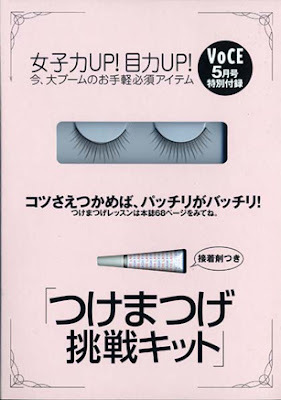 Full Vision Mascara & Liner: Mascara and gel liner in 5 shades, BR631, RD632, GY833, GR634 and VI635 (2625yen). It seems like 2009 just started not too long ago and already the summer collections are getting ready to launch. 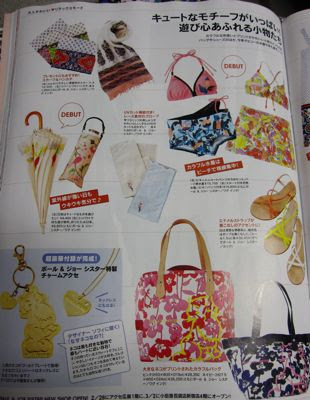 As in previous years, Lunasol will be putting out a limited edition summer collection on 8 May in Japan. It continues the Floral Purification theme of its spring collection but this time with a tropical theme centred around Plumeria and Hibiscus. 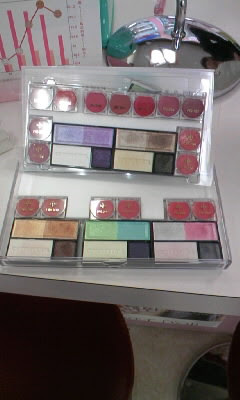 The collection includes two Layer Bloom Eyes palettes, two Shining Pencil, two Full Glamour Lips S, two Full Glamour Gloss N, two Nail Finish, a Curling Mascara and one Shining Face Color. All the items are limited edition except the Curling Mascara. 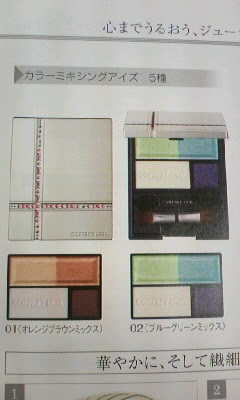 The two palettes don't look that exciting to me but they may well turn out to be more attractive in real life. Picked these up from Kinokuniya today! 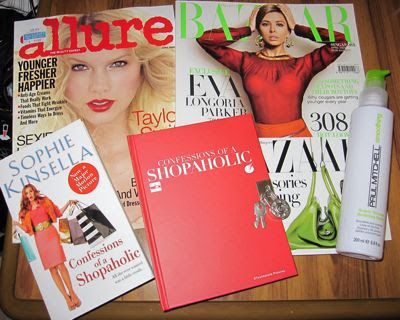 The April issue of Allure, the Singapore edition of Harper's Bazaar and Confessions of a Shopaholic. The Ngee Ann City store is giving away a full size Paul Mitchell Super Skinng Relaxing Balm (200ml) with a retail value of S$43 with each copy of Bazaar, which is a great deal as the mag costs only S$5! The new issue of Female also comes with a set of 3 Lancome whitening skincare samples worth S$21. Kino is also giving away movie collectibles with each copy of Confessions of a Shopaholic. Depending on your luck, you get either a red diary with a padlock for logging all those secret purchases or a mirror. Stila is releasing a bodycare line in Japan. This is the first I've heard of Stila putting out a bodycare line so I'm not sure if it will be sold in other countries. 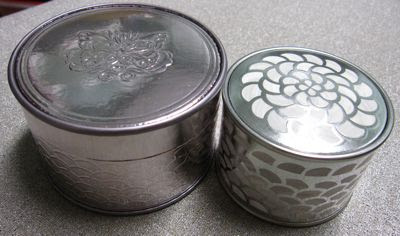 The line consists of body soap (1680yen, 250ml), body lotion (2100yen, 200ml), hair shampoo (1680yen, 250ml), hair conditioner (1890yen, 250ml) and shimmering body powder (3390yen, 30g) in three scents. Romantic Dream is a sweet bouquet and berry; Juicy Vacances is a fresh citrus and peach scent; and Precious Relax is relaxing herb and green apple scent. The collection will debut on 20 March in Japan. 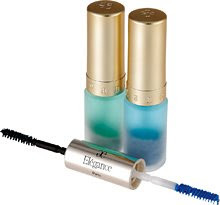 The Kiss website has been updated with the new Volume & Glamorous Curl WP mascara and Full Long & Separate mascara. 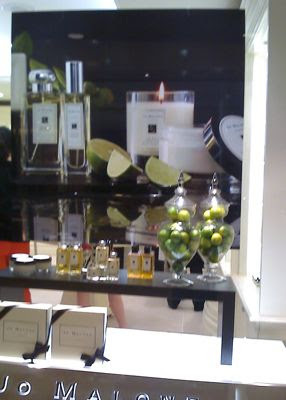 The Jo Malone store in Ngee Ann City opened on Friday. It stocks only the fragrance, bodycare and home fragrance lines, not the skincare line. The prices are marked up quite a bit though with the 30ml and 100ml colognes going for S$95 and S$190 respectively. In the UK, they cost £29.50/£61.00 (S$68.50/S$141) and in the US, they cost US$55/US$100 (S$91.50/S$166). The cheapest place to buy is probably the dutyfree in Heathrow Airport where the 30ml colognes are £24. 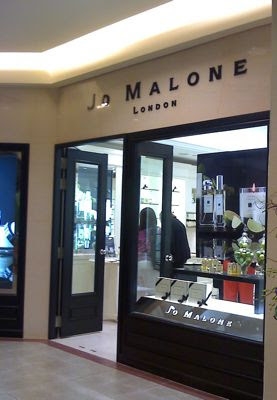 It'd be interesting to see if such an upmarket fragrance boutique can survive the dismal retailing scene in Singapore. 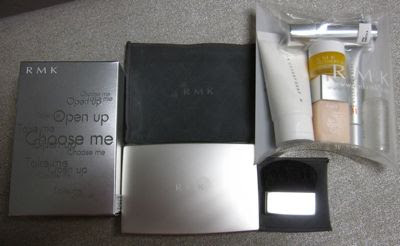 It has been quite a few years since RMK revamped its powder foundation. 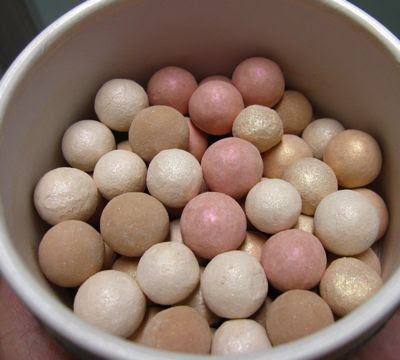 I was intrigued by the promise of the Powder Foundation EX which has a pearl powder part for adding a glowy finish. It was launched in Singapore earlier this week, just in time for the Isetan Private Sale. When the SA tried it on the back of my hand, I was very impressed by how smooth and natural it looked with good coverage. 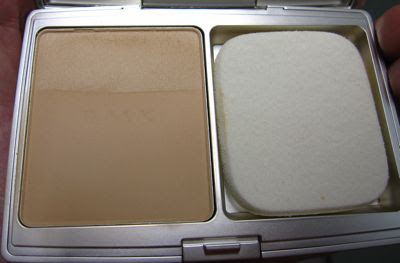 She first applied the matte powder foundation with the sponge and then applied the pearl powder with the brush. The SA said that the finish is supposed to be like that of liquid foundations, much more natural and dewy-looking without looking powdery and dry. And indeed it was. I walked around the store for awhile, trying to decide whether it was worth the S$105 price tag and then finally caved as I liked how glowy it looked. Alas, after wearing it for the last two days, I came to the conclusion that it was inferior to my current staple, Lancome's Maquicake UV Infinite #40. The Lancome foundation provides good coverage and oil control, with an excellent color match to my skin. I usually prefer my foundations to be on the fairer side and neutral-toned so that my skin looks less dull. 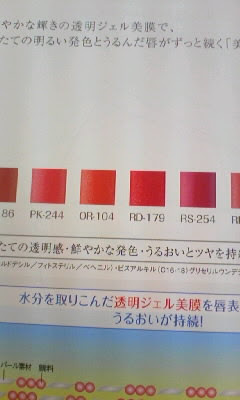 The RMK foundation, on the other hand, had poor oil control. In 1.5 hours, my nose was already looking shiny. The color match was decent, and looked natural but I felt that the coverage was less than that of the Lancome foundation. I also hated the included sponge which has a strange texture that does not spread the foundation smoothly but instead it actually squeaks when it rubs against my skin! The pearl powder part does add a nice glimmer. The price is also a bit extreme considering that powder foundations from higher end brands like Guerlain, Chanel and Dior are usually in the S$80+ range. 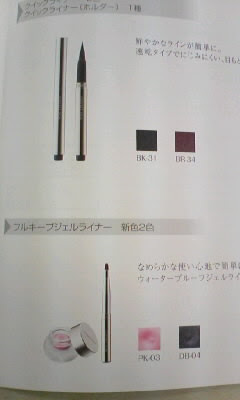 But the RMK one comes with the brush, which is useful for applying the pearl powder. 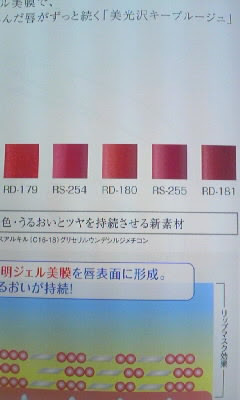 One consolation is that the price in Singapore is actually cheaper than the price in Japan, 6825yen (S$115). 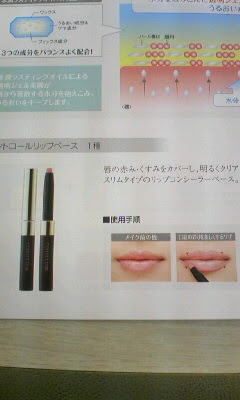 I also picked up the Super Basic Liquid Concealer and Irresistible Lips C #19, a glossy plum shade. 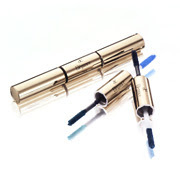 The concealer does quite a good job of covering up my under-eye dark circles and lasts well. Here's the GWP I received: Portable brush, Creamy Soap N 30g, Recovery Gel 3g, Face Protector 8g, Skin Smoother 8ml and Makeup Base 15ml. 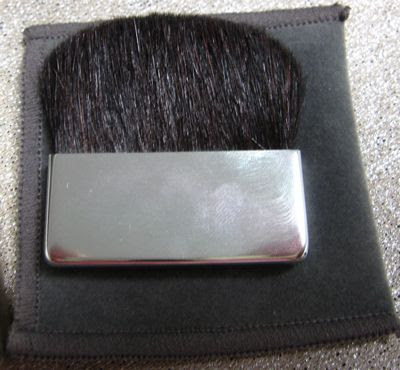 The portable brush is excellent with very soft bristles. I've never purchased anything from Guerlain before but decided to finally take the plunge with the new Pearly White Meteorites (S$87) and Meteorites Butterfly Pearls (S$97). I've been mulling over the Butterfly Pearls since they came out before Christmas as part of the Midnight Butterfly collection. According to the SA at the Tangs Orchard counter, there were only three Butterfly Pearls left so I bit the bullet and bought it. The Pearly White Meteorites gave a nice slightly pinkish white glow to my skin. 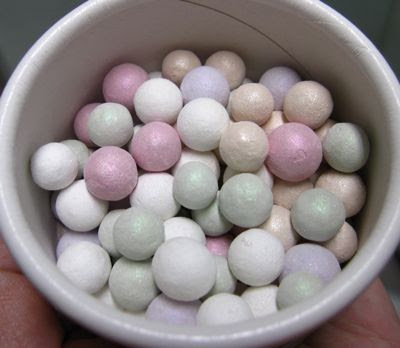 It contains powder balls in pastel white, pastel mauve, pastel pink, pastel green and pastel gold. The 5 shades each have a different function: pastel white for brightening, pastel mauve for addressing dullness, pastel pink for lively color, pastel green for reducing redness in skin and pastel gold for a golden glow. The Butterfly Pearls were super pricey but you get 60g of pearls for just $10 more than the Pearly White Meteorites which are only 33g. I was also incredibly tempted to pick up the Parure Pearly White Brightening Highlighter (S$83, 16ml) which is a liquid highlighting cream that comes in a fat metal tube with a brush applicator. It is about twice the diameter of YSL Touche Eclat with the brush about the same size as those in YSL's Radiant Brush Foundation. The White Brightening Highlighter gives a gorgeous microfine glistening shimmer. But I decided against it as the last thing my oily skin needs is more shine. 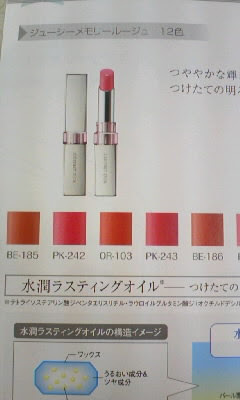 But it is limited edition, which ups the appeal factor to a makeup junkie. 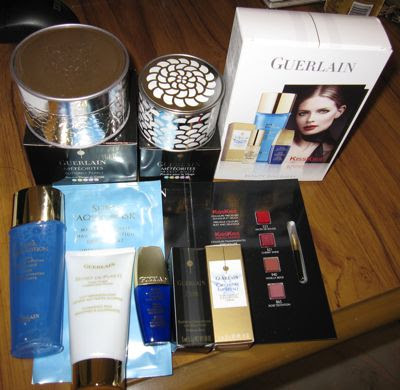 As my purchase was over S$180, I also received the 7-piece GWP which includes: Secret de Purete Cleansing Milk 50ml, Super Aqua Mask, Super Aqua Serum 10ml, Super Aqua Lotion 50ml, L'Or Makeup Base 5ml, Orchidee Imperiale Cream 3ml and a lipstick sample card with KissKiss Exces de Rouge 523, KissKiss Maxi Shine Rose Tentation 865, KissKiss Gloss Cherry Shine 621 and KissKiss Stick Gloss Vanilla Beige 940.